This is a stolen book! Octavo (168 x 112 mm. ); 309,  pages, title-page within an architectural frame. Bound in contemporary limp vellum, manuscript title on spine. Light browning here and there. A very good copy. 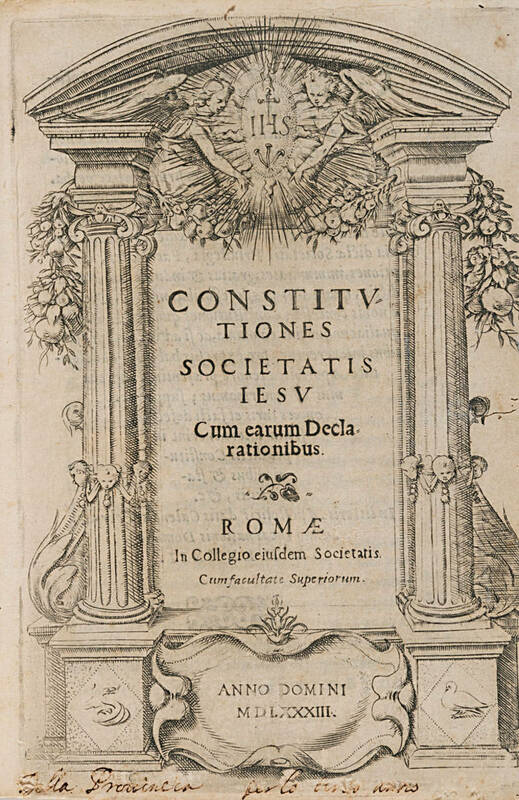 First edition of the 1583 redaction of the Constitutiones of the Society of Jesus, issued under Pope Gregorius XIII after the revision by the fourth General Assembly of the Congregation that took place in Rome in 1581. This Latin work is a fundamental tool for the understanding of the history, administration, and practical life of the new Order founded by Ignatius of Loyola in 1540. “Although the initial purpose of the founding group of companions from the University of Paris, who offered their services to the Roman pontiff, was to engage in the traditional apostolic Ministries for the progress of souls in life and in Christian doctrine - such as preaching, lecturing, teaching catechism, and hearing confessions - the Jesuits soon became known for their work as missionaries in Asia and the Americas, educators, and agents of the so-called Counter-Reformation. The order expanded rapidly, and by the time it was suppressed in 1773 by Pope Clement XIV, the Jesuits were present in almost every aspect of early modern culture, Sciences, and the Arts in all parts of the world” (Markys 2015). The Latin text, which rests ultimately on the Constitutiones published in manuscript form by Ignatius of Loyola in 1553 and firstly edited in 1559, consists of two parts, the Exam (Examen) and the Constitutions (Constitutiones). The Exam is an informative document, providing the candidates for the Congregation 38 with detailed information on the Society and the conditions to be satisfied for admission. On the other hand, the Constitutions are a brief summary of the universal norms regulating life within the Congregation. The Constitutions are articulated in a somewhat progressive, chronological order, like a travel itinerary, as they follow the Jesuit from his entrance in the Society, throughout his formation and until his definitive profession of faith; thus, they are structured according to a principle of spiritual development, and not in a thematic manner, as was usual at that time. Moreover, they were innovative in another respect, since the legislations of former Orders expressed their unchangeable normative dimension in a Regola, while intending the Constitutions to be the juridical and changeable normative elements. In this edition, both the Exam and the Constitutions are provided with the Declarations (Declarationes), that is, specific explanations relevant to concrete aspects of religious life which the general Constitutions could not take into account. 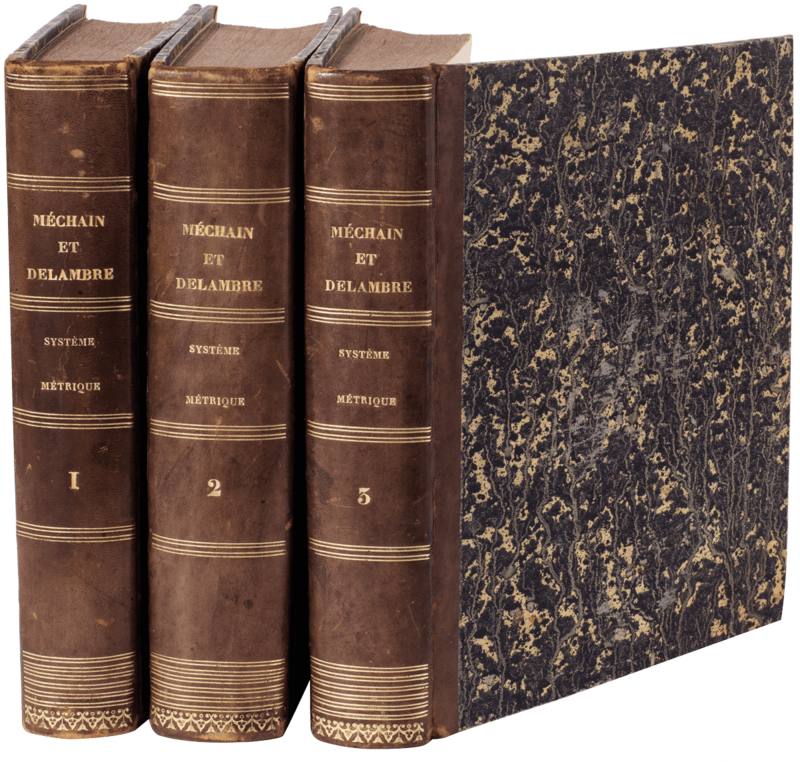 R.A. Markys, s.v. ‘Jesuits’ (2015), www.oxfordbiographies.com.